Tariff 1: Fares for destinations outside Estepona area Monday to Friday 6:00 - 22:00. 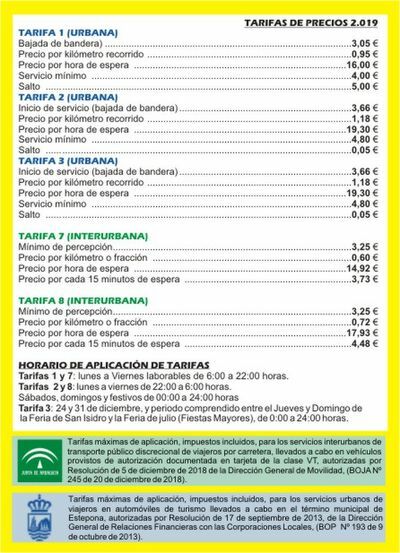 Tariff 2: Fares for destinations outside Estepona area Monday to Friday 22:00 - 6:00, Saturday, Sunday and Public Holidays all day round. Tariff 3: Fares for destinations inside Estepona area Monday to Friday 6:00 - 22:00. 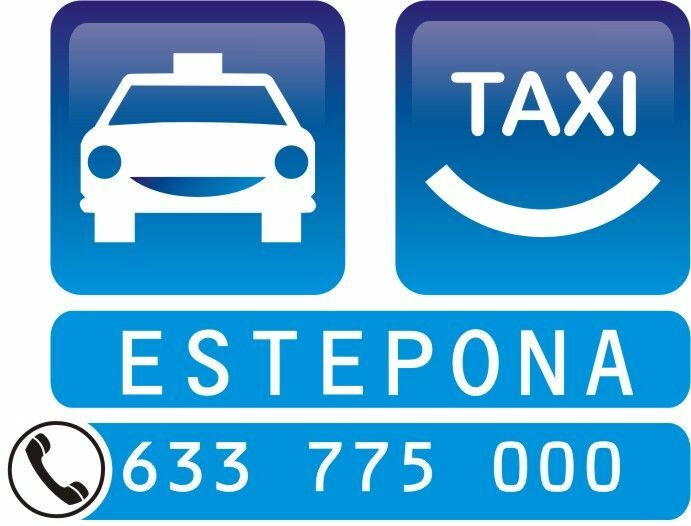 Tariff 4: Fares for destinations inside Estepona area Monday to Friday 22:00 - 6:00, Saturday, Sunday and Public Holidays all day round. Tariff 5: 24th and 31st December and period from Thursday to Sunday during San Isidro Fair and July Fair (Greater Celebrations).